Click here to find out more about the history of the Trust, including: why it was originally established; its philosophy; objectives; and family of supported organisations.  Click here for an explanation of the Trust’s logo, adopted in 1997. Click here to find out more about Mrs Rua Sparrow Stevens, whose life, spirit and passion are honoured by the Trust more than 35 years after her premature death in 1970. Click here to find out more about Clarence ‘Clarrie’ Henry Somerville Stevens (one of the original founders of the Trust), a prominent Dunedin lawyer and devoted husband to Rua for 32 years, dying 25 years to the day after her own death. Click here to find out the Trustees of the Trust, Mr Lee O. Stevens (Administrator), Mrs Penny A. Stevens and Mr Alex Burt.